Enables to create a regular time grid on which time step is equal to 1. Regular time grid of the time series. Dimension of the values of the time series at each time stamp. By default, the values are equal to the null vector. 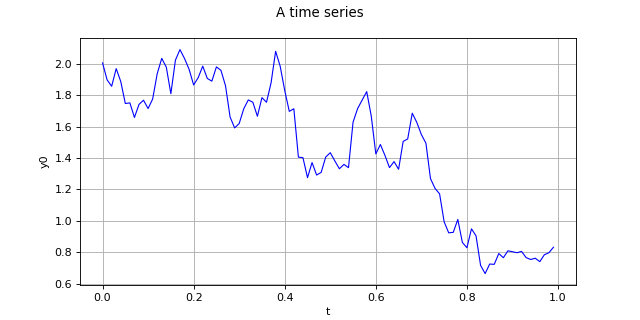 Values assigned to each time stamp of the time series. Maps a field into a time series when the associated lesh cn be interpretated as a regular time grid. add(*args) Add a new value to the time series and extend the associated time grid. getOutputMean() Get the mean of the values of the field. Add a new value to the time series and extend the associated time grid. 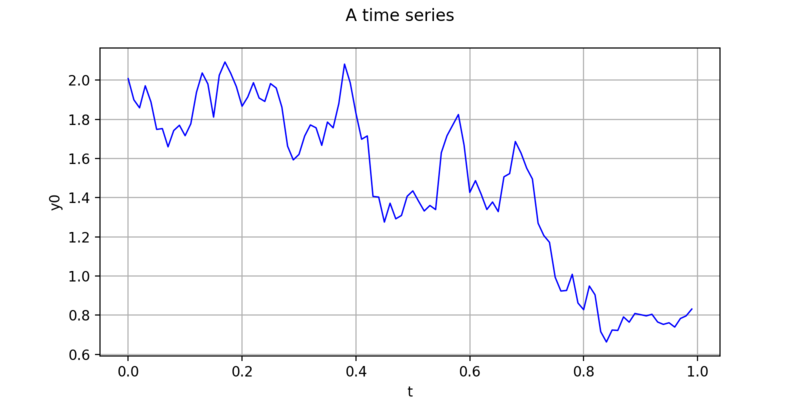 sample : 2-d sequence of float, of dimension the same as the dimension of the values of the time series. timeSeries : TimeSeries, which time grid must match with the initial time grid (one follows the other). newTimeSeries: :class:`~openturns.TimeSeries`, which regular grid has been extended with a new time stamp or a second time grid, associated to the new values. Get the mean of the values of the field. Mean of the values of the field. Only makes sense in the case of a regular grid.